Milo may not have starred in his own strip for a little while, but he never leaves my mind. Indeed, he shows up in doodles pretty frequently; he’s shown up at my work giving instructions, in the margins of church bulletins, and even on hands and fingers. 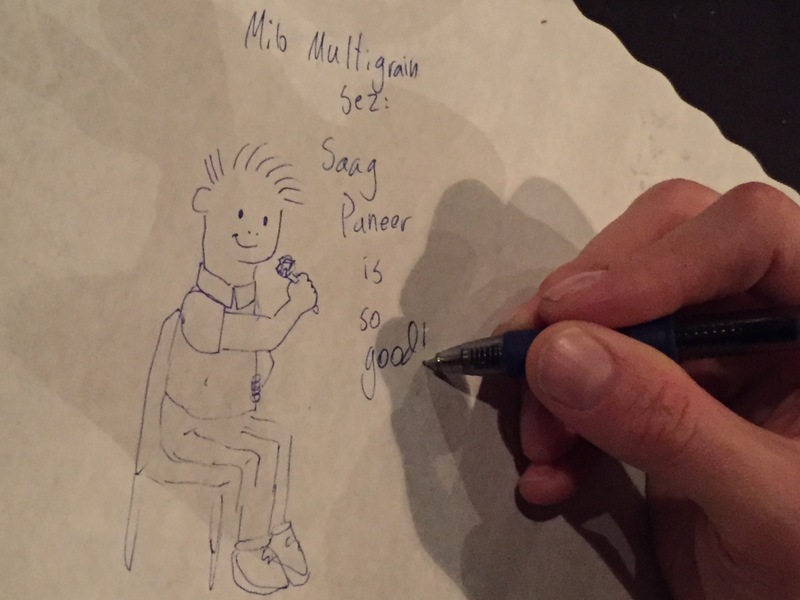 He was recently captured on film, being doodled on the paper placemat at an Indian restaurant, where he is seen enjoying a forkful of saag paneer. Stay tuned. Milo will indeed return.